If you’re having any trouble reading chord boxes then this handy chart should help you out. A red cross indicates a string that is to be muted and not to be played. An empty circle indicates an open string is to be played. The name of the chord or voicing number. A curved line indicates a series of notes are to be played using a barre (barre: a single finger fretting 2 or more notes). The circled dot indicates the root note of the chord. In this example the root is A. The recommended finger numbers used to play the chord (see hand diagrams to right). The fret number in which the root note is to be played. 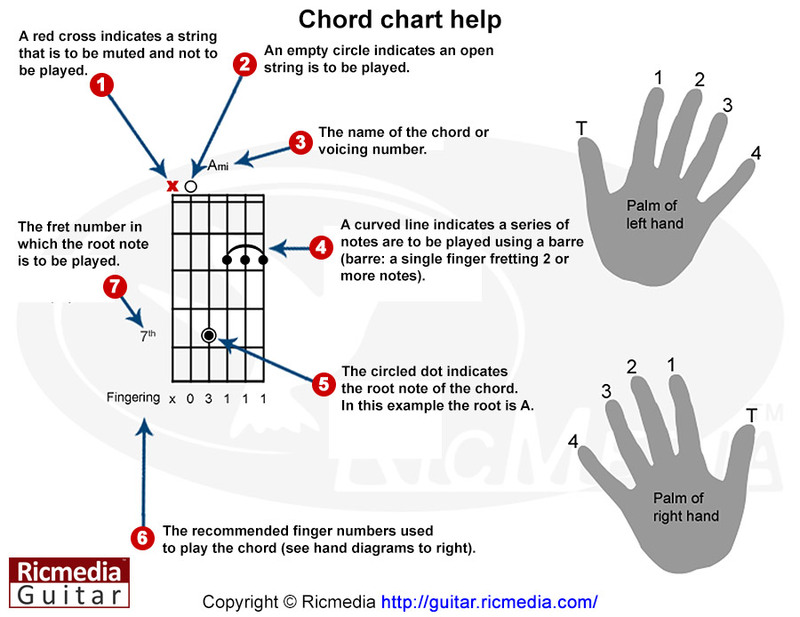 You can also download or print Chord box reading guide.